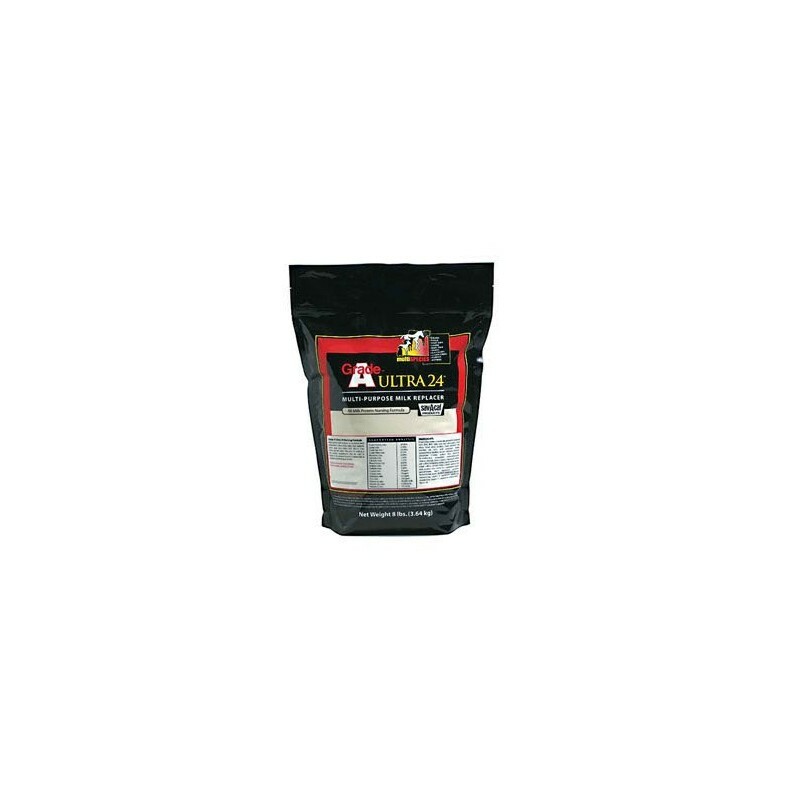 Made with 100% milk proteins for superior digestibility and performance in calves, foals, baby pigs, puppies, lambs, goat kids, llama and alpaca crias, fawns, and elk calves. Formulated for use as a nursing supplement in kittens. 100% instantized for easy mixing. 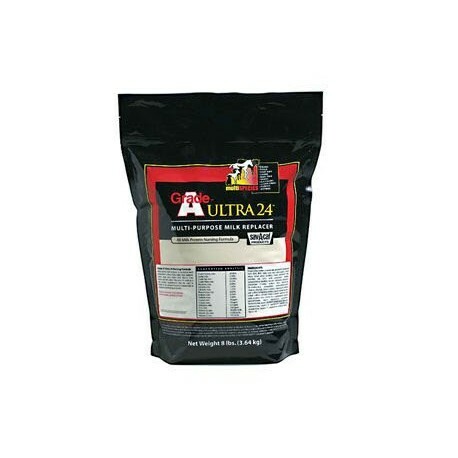 Contains 24% protein and 24% fat with balanced levels of essential vitamins and minerals. 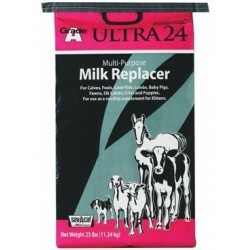 Also recommended for use as a dry feed supplement to encourage intake during the weaning period. FOB charges may apply.